On December 17th, the Future of Privacy Forum announced the winners of the 2018 Privacy Papers for Policymakers Award. Each year, FPF awards the Privacy Papers for Policymakers Award to the authors of leading privacy research and analytical work that is relevant to policymakers in the United States Congress, at U.S. federal agencies, and for data protection authorities abroad. The goal of the Award is to advance academic-industry collaboration by showcasing work that analyzes current and emerging privacy issues and proposes achievable solutions or new means of analysis that could lead to real-world policy impact. 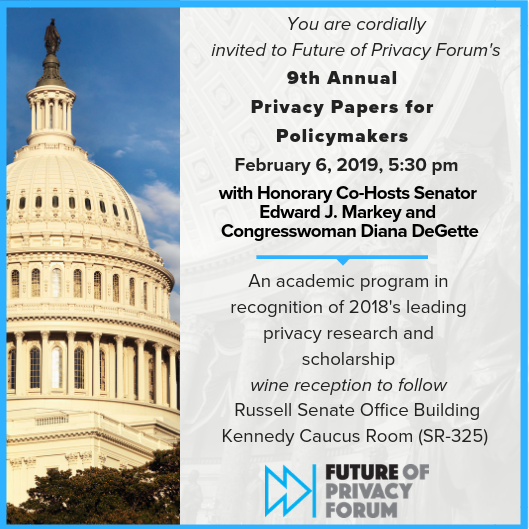 This year, Privacy Papers for Policymakers will be held at 5:30 PM on February 06, 2018 in Room SR-325 (Kennedy Caucus Room), Russell Senate Office Building. For more information and to register, click here. Our Finalist Judges for 2018 include representatives from FPF, as well as one representative from Academia, one from Consumer Advocacy, and one from Industry. Judges include Jules Polonetsky, CEO, Future of Privacy Forum; Christopher Wolf, Founder and Board Chair, Future of Privacy Forum; Mary Culnan, Professor Emeritus, Bentley University, and Board Vice President, Future of Privacy Forum; John Breyault, Vice President of Public Policy, Telecommunications and Fraud, National Consumers League; and Mark MacCarthy, Senior Vice President, Public Policy, Software & Information Industry Association. 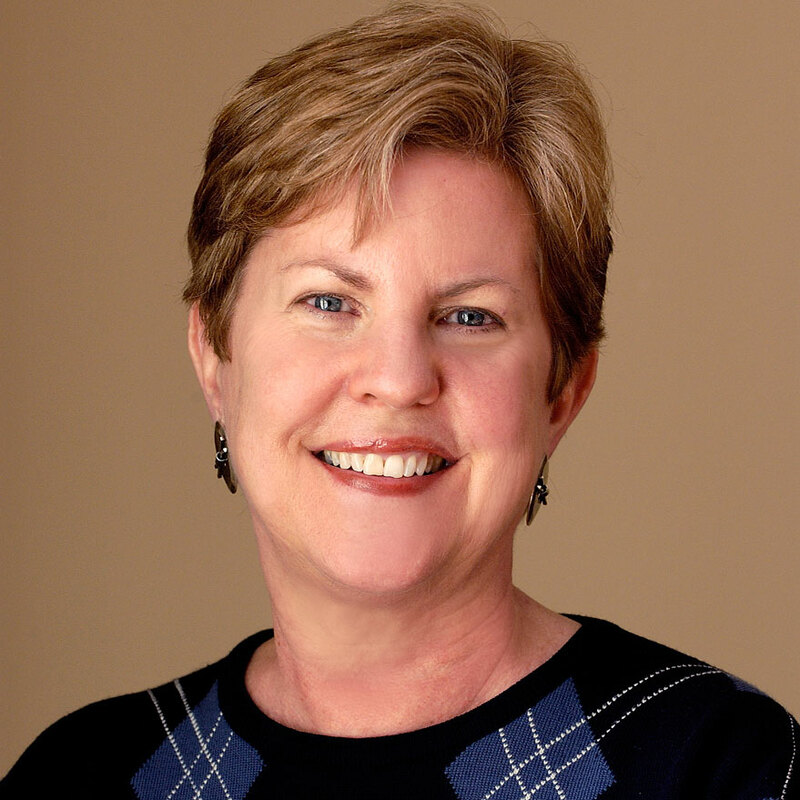 Jules serves as CEO of the Future of Privacy Forum. Jules’ previous roles have included serving as Chief Privacy Officer at AOL and before that at DoubleClick, as Consumer Affairs Commissioner for New York City, as an elected New York State Legislator and as a congressional staffer, and as an attorney. 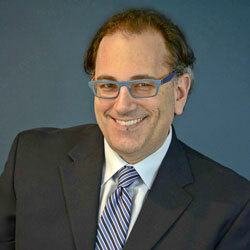 Jules serves on the Advisory Board of the Center for Copyright Information. He has served on the boards of a number of privacy and consumer protection organizations including TRUSTe, the International Association of Privacy Professionals, and the Network Advertising Initiative. From 2011-2012, Jules served on the Department of Homeland Security Data Privacy and Integrity Advisory Committee. In 2001, Crain’s NY Business magazine named Jules one of the top technology leaders in New York City. Jules is a regular speaker at privacy and technology events and has testified or presented before Congressional committees and the Federal Trade Commission. 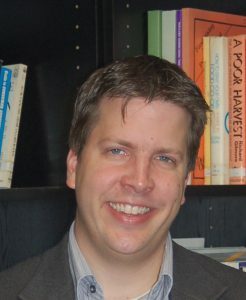 Mark MacCarthy is an adjunct faculty member in the Communication, Culture & Technology Program at Georgetown University. He teaches courses and conducts research in information privacy, AI and the future of work, global Internet freedom, algorithmic fairness and the development of electronic media. He also teaches courses in philosophy & privacy and philosophy & free speech and AI and Ethics in the Philosophy Department. He is an Affiliate of the Center for Business and Public Policy at Georgetown’s McDonough School of Business. He is also Senior Vice President for Public Policy at the Software & Information Industry Association, where he advises member companies and directs public policy initiatives in technology policy, information privacy, trade, Internet governance, intellectual property and educational technology. He has been a consultant on technology policy issues for the Organization for Economic Cooperation and Development and for the Aspen Institute. 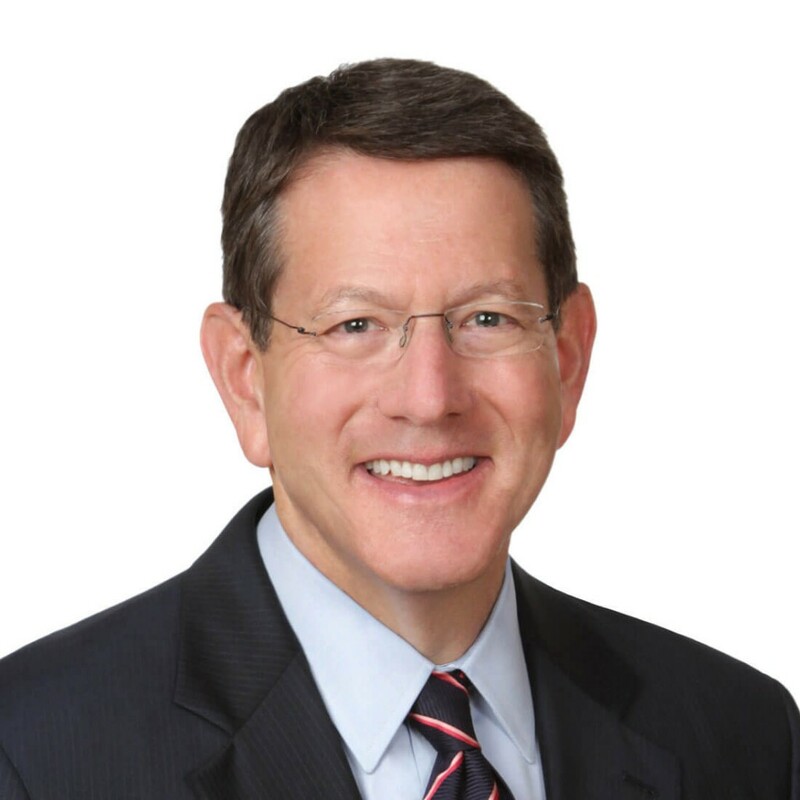 His previous public policy experience includes senior positions with Visa, Inc., the Wexler|Walker Group, Capital Cities/ABC and the Energy and Commerce Committee of the U.S. House of Representatives. 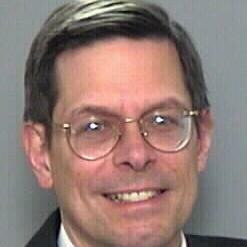 He holds a Ph.D in philosophy from Indiana University and an MA in economics from the University of Notre Dame. Thank you to our 2018 PPPM Finalist Judges!